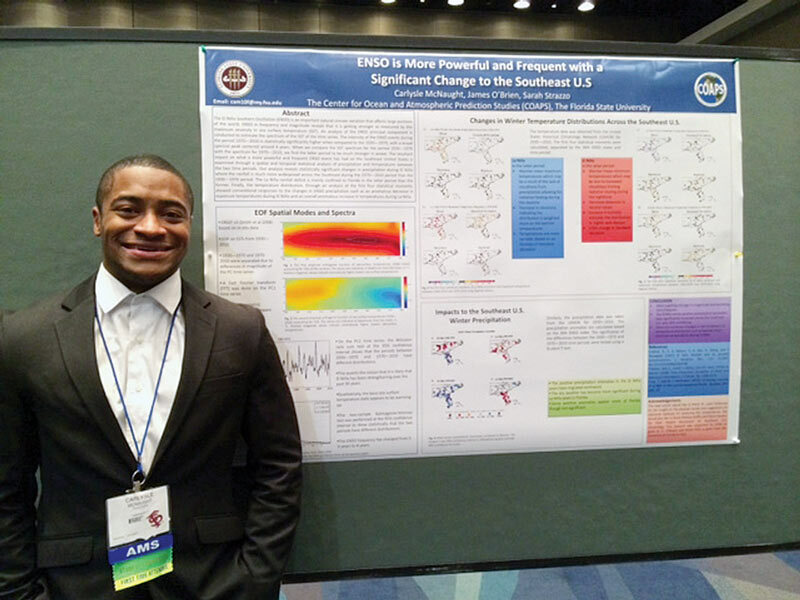 The Society of Physics Students hosts poster presentations at many national and regional events. Incuding writen and verbal feedback, awards are given to the top presenters in each category and a distinguishing note for students. Be sure to put them on your resume and CV! Poster awards are presented at both regional or national conferences of professional societies in the AIP federation. While learning how to conduct science is important, it is just as important to learn how to present yourself and your work. Scientific discoveries that are not communicated to the community effectively didn't happen. By far the best way to get better at presenting your work and yourself is through practice. Below, we've compiled some tips and resources to help you improve your presentation skills. It is important to know that each conference will have a slightly different format and many people have different opinions about how best to present information through a poster. We have compiled a list of generally accepted suggestions and tips that stand out for all poster presentations, especially if you are presenting at an SPS event. Here is a Powerpoint template if you've never presented a poster before, which may be helpful. Here is the SPS Logo to include on your poster. Recommendation: Make your poster in Powerpoint. Don't have paragraphs of text. Since you are presenting the poster, the poster acts as a guide and shouldn't be read aloud. Cosnider using bullet points and lots of figures. Look people in the eye when speaking to them. While awkward, it is often helpful to record yourself speaking and then listen/watch what you do. Check the poster size specifications for the conference you're attending. The standard poster size for SPS is 48 inches wide by 36 inches tall. Make a poster draft first. Have different people (especially a professor) look over your poster for errors. Structure the poster to be read left to right and up to down. Have a title that is short and informative. Include all the authors and their affliations. Include logos of institutions and any funding sources for the work. Ask co-authors to review the poster before you present. Poster's need a logical flow: introduction, methods, data, conclusions, etc. It's better to have a clear message than to overload your audience with too much text. Don't use fonts that are too small. If you print off your poster on a standard size piece of paper and place it on the floor, you should be able to read the text. Label graph axes. Check that equations are correct and have units. Dress professionally - Be proud of your research. Dress to impress. Be prepared to answer "So... tell me about your poster." You should be able to explain your work to scientists and non-scientists alike. Be prepared to answer other questions - get some friends together and practice a brief summary of your poster. Have them ask questions, and practice answering them. If you include illustrations or pictures, you need to make them yourself or properly cite them. Stand in front of your poster the entire poster session. It's important to remember that you can also ask people in your department about their experiences giving poster presentations; everyone is full of advice. Consider asking professors and older students for assistance.